The English giants Chelsea will be hunting for more success this season with José Mourinho at the helm. 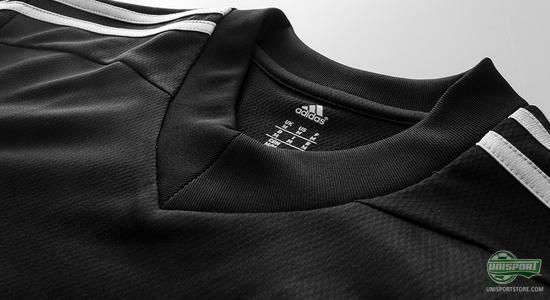 In their fight for even more success the club has gotten a new, elegant, black third shirt. If there is one thing we can quickly conclude, when looking at this summers releases, it is that black is definitely not going out of fashion, in fact, quite the opposite. With the Stealth Pack released by Nike and a range of blackout boots from Adidas, it is safe to conclude that black is the new black. 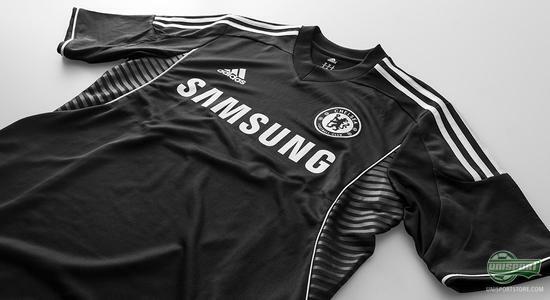 Chelsea and Adidas have therefore also opted for a black shirt for the clubs new third shirt, again with great success. If you want your hands on the new Chelsea shirt, then you can already pre-order it right here - prices start at just 58. With a blue home shirt, a white away shirt and now a third shirt in black, all bases are covered for Chelsea, who are now completely ready for the Premier League to kick off. It does so for them on the 18th of August, where they host Hull City. Already the round after they will however visit Old Trafford, for an early season mega clash. 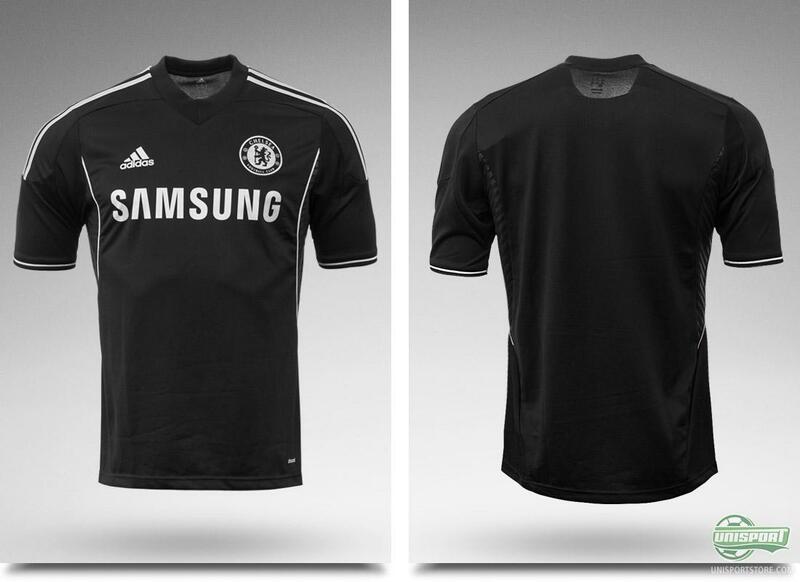 The shirt is incredibly elegant and has the same classy feel, as we have become accustomed to with Chelsea's shirts. 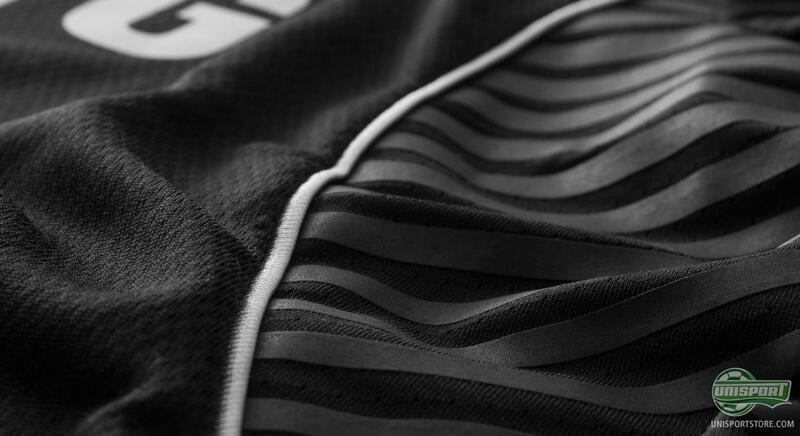 It is rare that they go too far out with the design and they don't with the new third shirt either. Still one cheeky design feature is that the other colour, on the the two tone shirt, is silver. 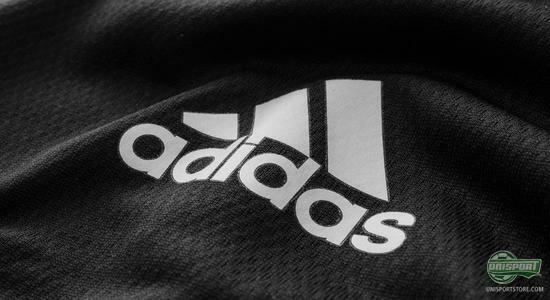 The classic Adidas stripes and their new sponsor Samsung is written in silver. 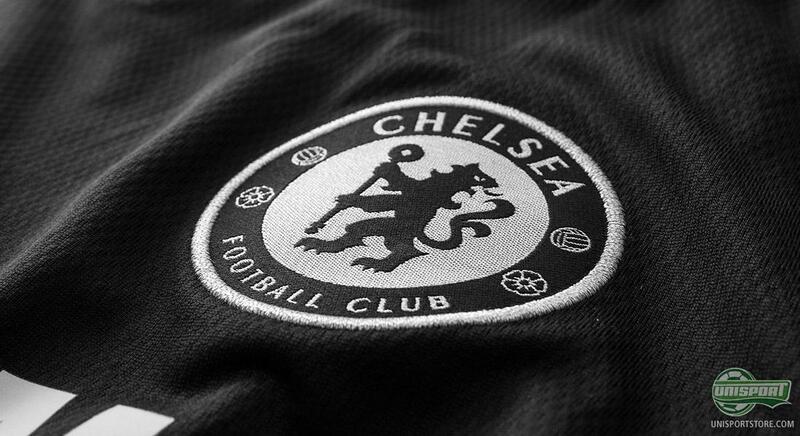 The Chelsea logo looks the same as always, with the sceptre bearing lion, but unlike with the home and away shirt, Adidas and Chelsea have chosen to change the colour in the logo. 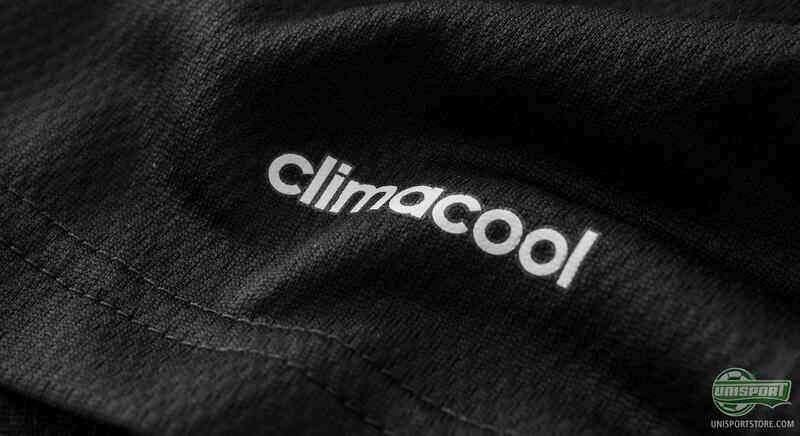 The usually blue and white logo has been made black and silver, so it matches the rest of the shirt. 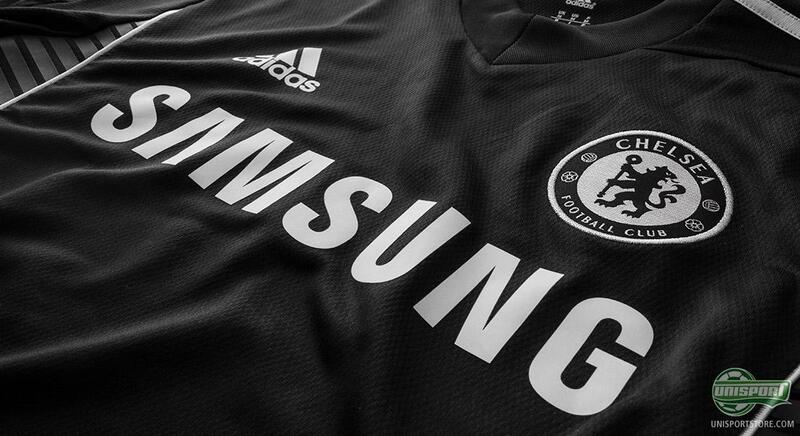 Black is far from new on Chelsea kits if you look back in history, with the real nostalgic types remembering seeing the club always in black socks up until 1959. This also gives a slightly historic feel to the shirt, with the first black away shirt getting its début in the 2002/2003 season. But bar the design, this shirt is far from old fashioned, with plenty of modern technologies and addition, which brings it well into this century. 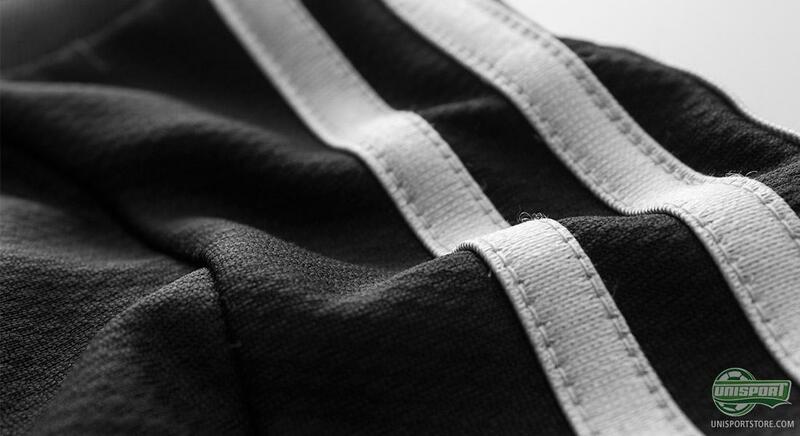 On the side of the shirt you find a row of black stripes around the black ventilation holes, which give maximal ventilation and ensure you don't overheat during the game. On top of that the shirt is made with the well known ClimaCool material, which we know and love from Adidas. With this shirt Chelsea and Adidas are more than ready for the coming season and it will be exciting to see whether the London-based club and José Mourinho can steer them onto glory and best bitter rivals United. One thing is for certain, Chelsea are well equipped for the next season, with three awesome new shirts. Chelsea have now completed the set, with the release of their third shirt. What do you think about the new shirt? And do you think José Mourinho and company can clinch the title from United and the other contenders? As always we would love to hear your comments here and on Facebook and Twitter.